On Tuesday, Samsung initiated a worldwide recall for their Galaxy Note 7s. Due to several cases of the phones catching fire, Samsung has ceased production of the phones. Samsung will not repair or refurbish a single device, and will instead “safely dispose” of them all. The Galaxy Note 7 launched on August 19, and phones began having problems early September. 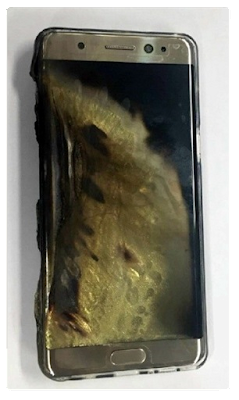 Samsung and the U.S. Consumer Product Safety Commission (CPSC) announced a complete recall following reports of battery failures and fire. Despite replacing hundreds of thousands of the phones with a new “safe” replacement, reports continued. The same exact failures continued to happen, and consumers started to lose confidence in the Note 7 name. Earlier this month, carriers started offering returns and exchanges for all Note 7’s. Carriers have also stopped selling the phones entirely after a battery fire on an airplane. 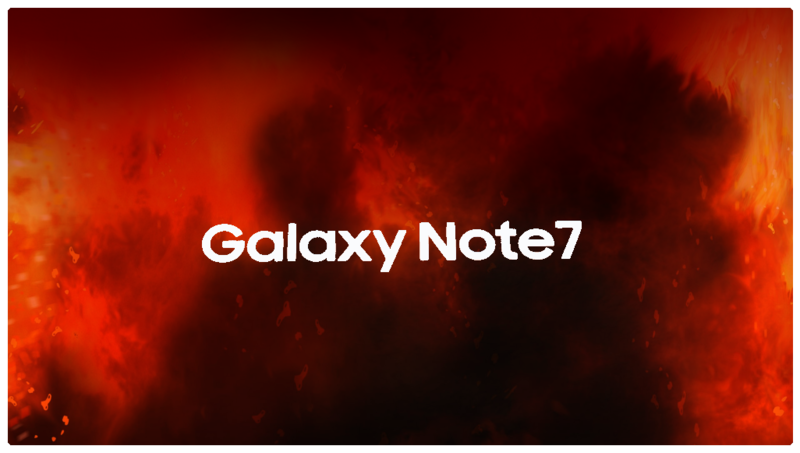 Samsung is currently asking all Galaxy Note 7 owners to return their phone to the carrier or retailer they purchased it from. Samsung has lengthened return and exchange periods for the phone. The company has also started sending fireproof return boxes to customers who have contacted them about a return. 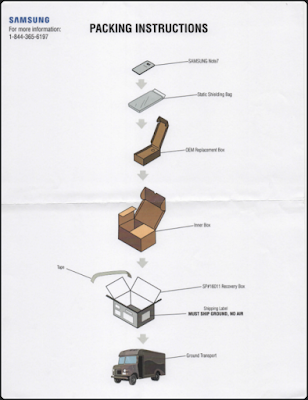 The return kit includes three boxes, a static shielding bag and a pair of safety gloves. Owners will place the phone in the static shielding bag, and then inside box after box. The last of these boxes is lined with ceramic fiber paper (which can cause skin irritation) capable of withstanding extreme heat. Accounting for $2 billion in loses, Samsung has adjusted its third quarter profit estimates. Over two million Galaxy Note 7s were manufactured, and current smartphone recycling practices will make many components of the phone unrecoverable. As of writing, Samsung hasn’t detailed their disposal process, and environmentalists are worried about the damage improper disposal may cause. With the Galaxy Note 7’s reputation in tatters, Samsung will have to rely on its other flagship, the Galaxy S8. The Galaxy S8 will launch in 2017, and a good write-up on the rumors surrounding the phone can be found here. Although their next flagship looks promising, Samsung may be forced to drop the Galaxy name if they hope the S8 will succeed.